Sderot mayor says government, army must make Hamas pay the price for attacking his city and not leave Sderot on its own. Sderot Mayor Alon Davidi says that for the residents of the city, there is no ceasefire with Hamas. He said he heard similar remarks from Prime Minister Binyamin Netanyahu, who visited his city Monday. "I am pleased that the prime minister arrived in Sderot and made things clear. We were told that the State is waging a war against the terrorist organizations and we told him that he has the broadest backing to restore peace to our region. The Rockets, kites, and balloons must be stopped. Our obvious demand is to strike hard at the terrorists," Davidi said in an interview with Arutz Sheva. He expressed the hope that the IDF would increase its activity and would make Hamas pay the price for its attacks. "We are paying the heavy price, because it is known that Hamas will not direct its rockets on a daily basis to the centers of the more distant cities. In the past four years, Sderot has prospered and flourished, so we are appealing to the defense minister and the prime minister to ensure that Sderot is not trampled under the terrorist attacks. We must provide a comprehensive and broad response so that the terrorism will not be directed at us." Davidi spoke about the special unity that exists in Sderot, especially in emergency situations. 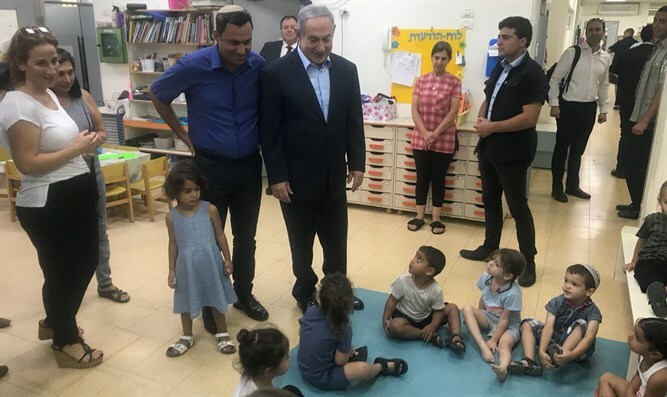 "Last Saturday, four rockets landed, one in the Buchris family's house and two in the playgrounds, and in one of the cases the rocket landed 50 meters from my house, and you run away with your white shirt and Shabbat clothes and see all the people who come to help." "We saw in the Buchris family the mobilization of neighbors and friends. I can guarantee that terrorism will not defeat us," concluded the mayor of Sderot.